Welcome to Petits Enfants Academy, your child’s home away from home! We are excited to offer the very best holistic learning experience to your precious bundles of joy, along with loving care and commitment. 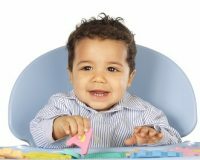 At Petit Enfants, your child will embark on an exciting journey of discovery in early childhood education. Your child’s creative and intellectual urges will bloom in our nurturing environment, mentored by a team of professionals with abundant experience. Our state of the art facility is housed in a safe and secure learning space and our teaching methodologies combine the best of traditional teaching practices and modern technology. Join us at Petit Enfants Academy and see your child blossom before your eyes!